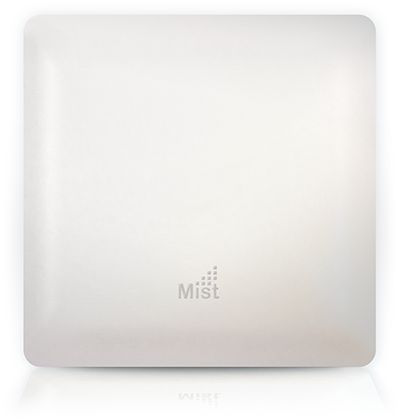 Mist is pioneering the new wireless network. Mist has built the first AI-driven WLAN, making Wi-Fi predictable, reliable, and measurable while delivering amazing indoor location experiences. The Mist Learning WLAN delivers unprecedented insight into the Wi-Fi user experience and eliminates the operational burdens of legacy wireless architectures by replacing time consuming manual tasks with proactive automation. In addition, Mist is the first vendor to bring Enterprise grade Wi-Fi, Bluetooth Low Energy (BLE) and IoT together to deliver personalized, location-based wireless services without requiring battery-powered beacons. All operations are managed via Mist’s modern cloud architecture for maximum scalability, agility and performance. All of Mist’s capabilities are 100% programmable via open APIs. The Mist team consists of leading experts in wireless, machine learning and cloud, who are responsible for building the largest and most advanced networks in the world. Founded in 2014, the company is based in Cupertino, CA and funded by top investors. Next to a choice of Enterprise grade access points #compare-mist-access-points, software subscriptions determine the functionality. Register for Mist Wireless Wednesday Webinars where you can experience the Mist Learning WLAN with built in Wi-Fi Assurance and Bluetooth® LE location.